and installing uPVC Windows and Doors. 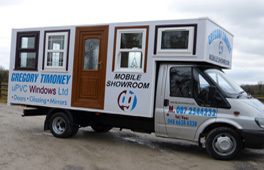 Company Director and Proprieter, Gregory Timoney, has over thirty years experience in the window installation industry. Having worked as a window fitter and salesman he is now combining this extensive practical knowledge and business acumen to branch out and set up his own company. At DG uPVC Windows Ltd, Gregory and his team are experts in the installation of uPVC windows and doors; french, patio and bi-fold doors; composite doors; conservatories and sunrooms; roller garage doors and aluminium shop fronts and windows. 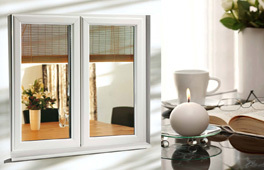 DG uPVC Windows Ltd.
DG uPVC Windows Ltd aim to supply a selection of items to meet our customer's needs, and we always provide only the highest quality products. 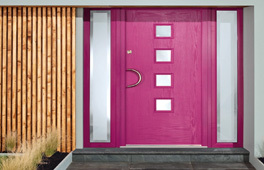 In our composite door range, for example, we offer a wide variety of colours to ensure that there is something to suit your home. 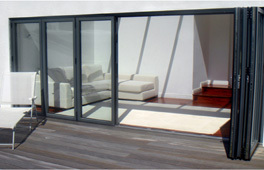 These secure doors are also long lasting, low maintenance and will provide the wow factor when guests come to visit. For their aluminium shop fronts and windows, DG uPVC Windows Ltd also carry a wide range of quality styles to suit your business. Gregory will be able to talk through your design needs and choose the best style to both showcase and protect your wares. Although based in Fermanagh in Northern Ireland, we have supplied products and services to both domestic and commercial clients across the country. The passionate approach we take to the window and door installation work has seen us gain much new business through word of mouth recommendations, and DG uPVC Windows Ltd hope to continue this trend. Visit our NEW showroom for inspiration and design ideas.